So life with the Tassimo just got a whole lot better with the arrival of the new Costa Caramel Latte T-Discs. I love them because the caramel flavour is subtle and not too sweet - it still tastes like a latte. Not that it really needs it, but I like to dust mine with a bit of cinnamon. Perfect for dunking caramel waffles into. As far as coffees at home go, this is one serious treat. At 94 calories a serving it's not that much of a splurge either. 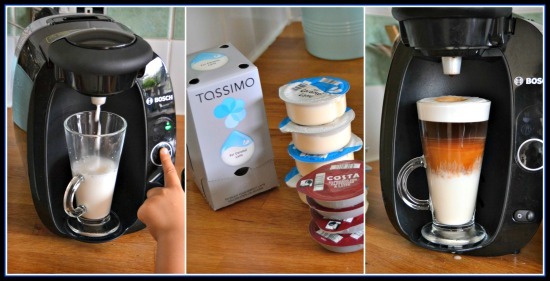 Thank you Tassimo for sending me a packet of Costa Caramel Latte pods to try out.